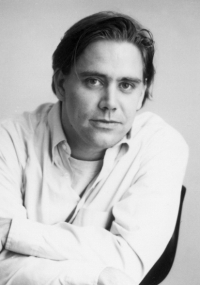 Stephen Chbosky has lost track of the number of times The Perks of Being a Wallflower has been banned in schools across the country. He’s just thrilled that the latest attempt to censor his young adult novel has failed—and middle school kids in Glen Ellyn, IL, now have access to the title in their classrooms once again. We caught up with Chbosky, 43, to talk about his views on censorship, why he’d like to thank Judy Blume, and the recent bundle of joy who’s changed his life. It must feel great to know that Perks is returning to classrooms in Glen Ellyn, IL, this fall. I was very happy because I felt the community had its debate, and the right side won. I’m never against the debate. The debate part is great, but the silencing and censorship is always a bad thing. The kids who fought to keep the book in their schools created an amazing YouTube video. They said they could relate to Perks on so many levels because it was real and it spoke to them. It means so much to me. The one thing that it doesn’t change [about getting banned] is how moved I’ve become by the passion and the idealism and optimism of young people. The older I get, it actually becomes more pronounced. Did you hear Judy Blume, who is a board member of NCAC, got behind your book? I met Ms. Blume one time in Chicago. We all read from our banned books and we all gave speeches. After my speech, she came up to me and she said how much she liked my speech. She signed a copy of Forever for me, and I signed a copy of Perks for her. When I heard that she read and loved it, I was so moved. 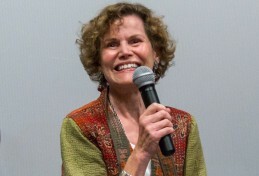 What word do you give to Judy Blume? She is young adult literature as far as I’m concerned. I would love for her to know how much I appreciate how much she’s done for the book and to pay my respects. How often does Perks get banned? It’s been so many times that I’ve honestly lost count. I know it’s made the American Library Association’s top 10 list five times, so it’s happened a lot. Were you surprised the first time it happened? I was surprised the first time because I didn’t know up until the challenge that my book was being taught in schools. So I found out this wonderful honor in a terrible way. I was sad because you publish a book, in part, to end the silence about certain issues. But then certain people object, and they try to censor your book, and all of that is just silence. I know what the book has meant to certain kids because I’ve been getting letters from them for well over a decade. So every time this happens, I just think about that one kid in the community who could really use the book. How many letters have you received? Thousands from all over the world. Is there one letter from a kid that sticks out in your mind? There are times I receive a letter, phone call, or email from a young person, and that young person was planning on killing themselves, and they read my book and decided against it. Anytime that happens, that’s the moment. And it’s happened many, many, many times. So your book has stopped kids from committing suicide? What in particular about the book resonates with them so much? For many kids, the book helped end a sense of isolation. It ended the idea that they were all alone in what they were going through, whether they were gay and they thought they were going to be punished for that, or if they were struggling with mental illness or depression and they thought that it never gets better. Charlie’s struggles, and his friends’ struggles, speak directly to those experiences. I feel that because the book—and movie—ends in a cathartic way, I think it gives a sense of hope, which is what I wanted it to do. What else do the kids say in their letters? The vast majority of the letters I get are from kids who are struggling with depression and different forms of mental illness. Did you know Perks would have such an impact while you were writing it? Like any author, you use your imagination, and in your wildest dreams you hope that it makes an impact—but you can’t count on it. But we all do it—we all hope—that maybe it’s going to reach a readership or really reach a kid who’s struggling. So in one sense, yes. But in another sense, I could not have predicted that it would have been published in so many countries and in so many languages, and for there to be well over 50 printings at this point. That, you can’t predict. In what ways is Perks semiautobiographical? I went through some of the things and other things I didn’t. But I had friends who went through those things. This book is my love letter and wish for every kid who is struggling with identity, because at the time I was writing it, I was struggling with my own. What were you struggling with at the time? I was in my mid-20s and—I was never prescribed any pills—but there were a lot of things I had to figure out and work out. The biggest of all of them was just to understand that what I was feeling was normal, because so often, we feel that it’s not. I made a joke once that it’s OK to hate yourself, but just don’t hate yourself for hating yourself. Then you get into a real cycle. It took me some years, but I kind of found my way back. It must have been cathartic to write this book? Are you surprised that people still ban books? Yes and no. I was raised in Pittsburgh, which can be fairly socially conservative, even though it votes democrat. So I understand it on some level. I was raised in a community where the impulse to protect our kids by sweeping certain things under the rug is very strong. I believe that the intent, most of the time, is very good. But it becomes too extreme. And ultimately I feel, and I mean this with respect, that it is very misguided. So it’s OK to protect your kid, but don’t tell other people what they can’t read, right? Every time I’ve ever gotten involved in one of these book challenges, that’s always my stance. I would personally be very upset if a school forced a kid to read The Perks of Being a Wallflower against his or her parents’ objections or against his or her objections. So to me, it’s just the way that I was raised. It’s good manners to mind your own home, mind your own business, and mind your own store. So to let other people simply dismiss something as unworthy or without merit—especially if you haven’t read the book yourself or spoken to some of the people who love it and who might have been helped or even saved by it—to me is disrespectful. Is book banning ever justified? It’s a very difficult question. If you had Mein Kampf in schools, would it be right to censor Mein Kampf in high schools? I struggle with that question. But if it were taught and used in a way to provide a historical perspective, or highlight a tragedy, or discuss World War II or as an example of hate speech, then it’s a very valuable. However, if it led to violence against some people, that would be difficult. That would be very difficult to condone, especially in a school setting. It’s a really profound question. So would it be right then to ban the bible? As literature, no. But as separation of church and state, perhaps it would. But it’s always the context. That’s why I think it’s a healthy thing when a community has a debate and discussion about how a book is being used. Does it get easier for you each time you’re banned? It affects me the same way. I’m an older person now. I’m more mature. My blood does not boil as much, but my practical brain, the part of me that has learned from experience about that the book has done for certain people, that will only gets bigger. Does any of it affect your writing? Oh no. When you write, you have to write the truth, and if you don’t, then you’re not really writing. I’m just writing the truth as I know it, and wherever that lands, that’s where it’s meant to land. I could never have really predicted the impact that my book would have had. I couldn’t have predicted that it would have been a Number 1 New York Times bestseller 13 years after it came out because of the movie and because people just started talking about it again. In the same way, I’ve never lived my life trying to guess the market or guess what certain individuals are going to object to. I just have to keep going as I see fit. Was adapting Perks to the big screen something you always wanted to do? I always wanted to do it. I started as a film maker. I went to film school. When I was writing the book, in the back of my mind I always thought it would make a movie some day. But I also knew it was a really difficult adaptation. Internal books with outwardly passive heroes are very difficult to adapt. And so I didn’t know if I could pull it off. Was the writing the screenplay much more difficult? Yes, in this particular case, much, much more difficult. Did it turn out the way you wanted it to? Yes, I think any director always looks at the five moments you want back, but since I’m aware of that, to me, it was really great to just look at that and say, “You know what, knowing that there will always be five things is actually its own version of perfection.” I’m glad that I don’t have those five things back, because I’m probably wrong about four of them. So I stand by every frame. I’m very proud of the movie, and the response it’s gotten was great. I’m writing my second book, which I hope to adapt to a film as well. We’ll see. Tell us a little about it. It’s very close to Perks emotionally and thematically, but it’s told in a completely different genre. I’ve called it a very loving tribute to my favorite writer of all time, who is Stephen King. So it’s taking all these things, and these emotional issues that I was dealing with in Perks, and it’s putting quite a spin on it. Is it a YA novel? Banned author Judy Blume spoke out against the banning of ‘Perks’ at an Illinois school district. No, not particularly but I have a feeling that it will appeal to young people as much as adults. Does it have a teenage protagonist? Nope. The protagonist is a boy who’s around eight years old. There’s one teenage character though that I created for the book who’s one of my favorite characters I’ve ever created. I won’t give it away. I created this character called Mary Katherine. And Mary Katherine is a wonderfully faithful Catholic teenage girl who is the guiltiest person who has ever lived. And her transformation through the course of the book is very exciting to write and has been very exciting to plot out. If this based on your life at all? When you see it, you’ll know that there’s no way it could be based on my life because of the more other worldly elements. However, I will say that every time I write, I feel a little tribute to James Joyce of all people, only because this is a man who left Dublin and never went back, but kept writing about Dublin. And although I could not touch James Joyce’s toe, I was raised in Pittsburgh in western Pennsylvania, and I’ve gone back. But I haven’t lived there in almost 20 years now. And yet whenever I think of that street or that house, I’m right back in western Pennsylvania. How much have your completed? I’m about 80 percent done. And I hope to be done with the first draft at the end of summer, maybe in fall. And I hope to have a pub date in 2015. How long have you been writing it? I’ve been working on this one for a couple of years, whenever I found a break from my other activities and from working on Perks. This one is much longer, and it’s fairly epic in scope. And so it’s taken longer. Yes, but it’s a secret. Is this only your second book? Yes, but the process of making “The Perks of Being a Wallflower” movie made me rediscover my love of directing and my love of writing books, and now that’s all I want to do. You live on the West Coast, right? I live in Los Angeles with my wife and our little daughter, Maccie Margaret. She’s brand new (a year old). I love it. To me, it’s a miracle because when I think back to when I was writing Perks to what my life is now, I’m very proud of the life I’ve been able to put together with my wife. It’s funny, when you’re younger, you think about all these things that you feel that are very important. And at the time, they are very important. And then, it’s amazing that once you reach a certain age how just having breakfast and just talking about stuff of the day becomes the greatest moment of your life almost. I know what you mean. Smelling my baby’s feet is such a highlight of my day.